141 color + b-w illus. Providing an expansive and revelatory look at the collaborative artistic relationship between photographers and printers, this book focuses on the work and practice of Schneider/Erdman, Inc., a Manhattan-based printing business owned by Gary Schneider and John Erdman from 1981 to 2001. Well-known within the booming New York photography scene, Schneider and Erdman printed works by artists such as Richard Avedon, Matthew Barney, and Nan Goldin. 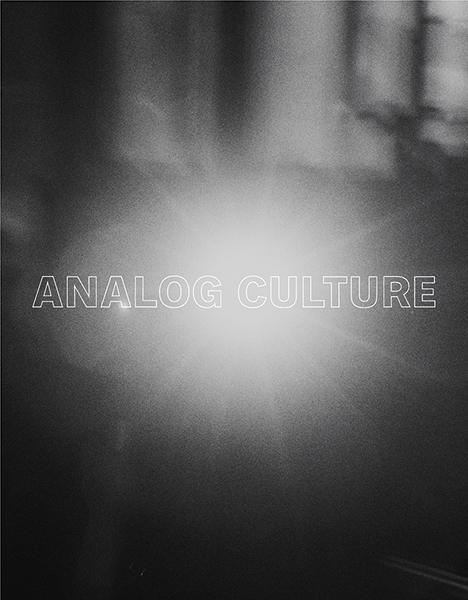 In addition to a thorough overview of Schneider and Erdman’s technical mastery of printing methods and materials, Analog Culture also sheds light on the importance of the close personal relationship between photographers and printers within the art-making process. The striking works reproduced in the volume are enhanced by exclusive interviews with Schneider, Erdman, and their collaborators, offering an unparalleled behind-the-scenes view of New York’s photographic culture in the late 20th century. Jennifer Quick is the John R. and Barbara Robinson Family Associate Research Curator in Photography at the Harvard Art Museums.